HTC today join the Phablet race with HTC One Max, a super-sized Smartphone from HTC that comes with HTC One design and functionality. HTC One Max comes with Fingerprint scan, HTC BlinkFeed, HTC Zoe, HTC Boom Sound and HTC Sense 5.5. HTC One max features HTC UltraPixel camera technology with Zoe mode and 2.1 MP front facing camera. HTC One Max comes with 3300 mAh embedded battery and can be expanded with optional HTC power Flip Case that comes with 1150 mAh battery. This will offer both protection and extra juice. HTC One max fingerprint Scan feature allows users to lock or unlock the screen and quickly launch up to three favorite applications by assigning an individual finger to each. 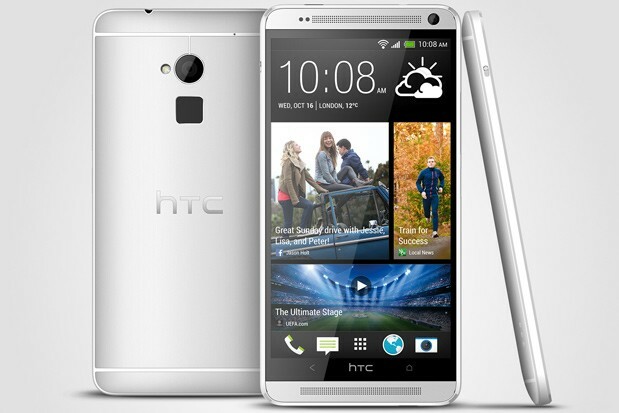 HTC One max available in Silver color and will begin rolling out across the globe from mid-end October.